⭐️Space Jewel Blast is a simple but challenging puzzle game! Published by Lucky Time Ltd.
Space Jewel Blast - an addictive and easy game to play, the definitely best interesting puzzle game that you have ever played! 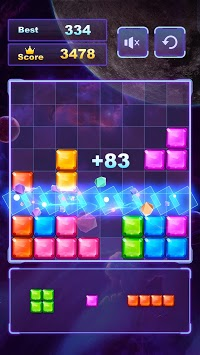 Space Jewel Blast is popular among all age. Once you start, you will never stop! Have a try and you will definitely love it! ⭐️ Drag the blocks to any places you want in the 8*8 block grid. 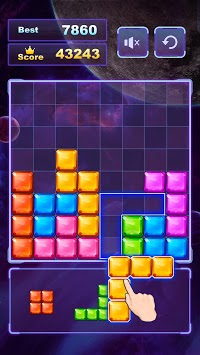 ⭐️ Try to place blocks in a full vertical or horizontal line to let it destroyed and get more space. 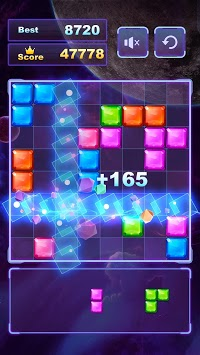 If you want to find a causal game to have a relax, choose Space Jewel Blast! If you want to find a free and small game, Space Jewel Blast is just made for you! Hope Space Jewel Blast can bring endless fun for you!